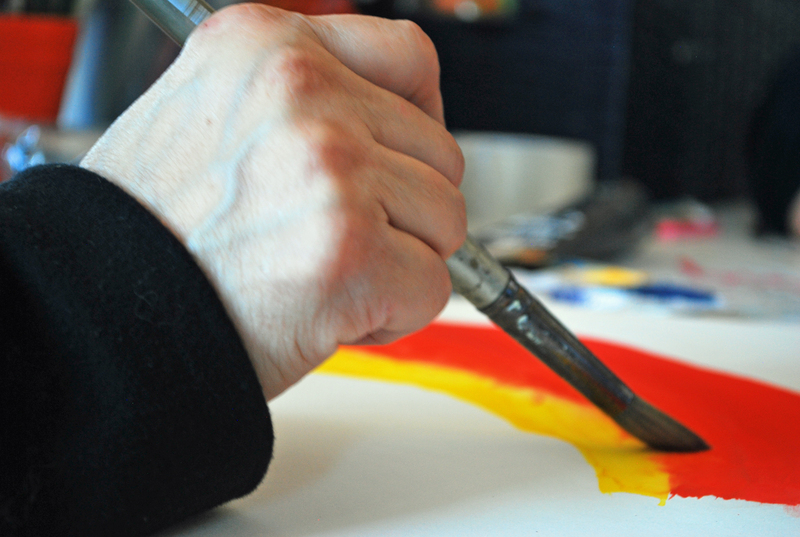 The Awakenings Project is a grass-roots initiative in the Chicago suburbs, whose mission is to foster, advance, and benefit the creative efforts of artists with mental illnesses. Additionally, The Awakenings Project works to raise public awareness, acceptance and appreciation of art by people with mental illnesses in all creative endeavors but especially fine arts, music, literature, and drama. The Awakenings Project, which has grown steadily over the last two decades, has multiple facets. Its programs encompass exhibits and sales of fine art, publishing of an internationally recognized literary journal, (The Awakenings Review), production of CDs of music and poetry, readings and development of works of the theatre. 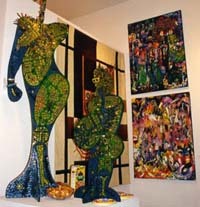 The Forerunner of the Project, The Awakenings Art Show, debuted in 1996, is now a regular activity of the group, along with the operation of a working art studio. Here artists have access to a "drop-in" environment providing a supportive creative atmosphere including work space, companionship, and solitude for those who seek it. Begun in Glen Ellyn in 1999 and since July 2008, the studio has relocated to Elgin, Illinois, and is used for multiple functions, such as writing workshops, play rehearsals, and receptions. Second City came out once to lead an outreach workshop. Since 2000, The Awakenings Review has published 14 issues. The journal receives submissions from all quarters of the U.S. and from a host of foreign countries. Begun in conjunction with the University of Chicago Center for Psychiatric Rehabilitation, the journal publishes works by writers and poets who have a disclosed relationship with mental illness, either self, family member, or friend. In its pages the journal has and will continue to publish insightful, moving and provocative literature, and has been hailed by established literary figures as an important addition to the literary community. Awakenings was the winner of the "Outstanding Contribution to Recovery by a Non-Profit Organization" award from the Irwin Foundation at Celebration Recovery in 2006. Awakenings also received a "Stigma Busters" award from Ecker Center at the Elgin Country Club in 2010, and in both 2015 & 2018, was selected for the Best of Elgin Award for Non-Profit Organization. The award was created to honor and generate public recognition of the achievements and positive contributions of businesses and organizations in and around Elgin. The Awakenings Project has been fortunate in connecting with CLOZTALK, an innovative organization begun by the Imerman Brothers and friends. They support many wonderful causes which bring attention to such organizations as The Awakenings Project. You can also join The Awakenings Project Group on facebook by looking up our group or page. You could donate directly on Network for Good, or on GuideStar. THANKS! Donate Now through GuideStar. 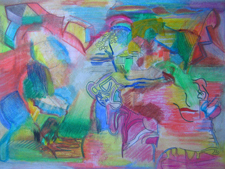 The Awakenings Art Show—later to evolve into The Awakenings Project—was first conceived in 1996 when Robert Lundin, then member of the board of directors of the National Alliance for the Mentally Ill of Illinois (NAMI-IL), became involved with the planning committee for NAMI-IL's annual convention. Intrigued and inspired by the work of Kay Redfield Jamison (Touched with Fire: Manic Depressive Illness and the Artistic Temperament, 1993), he and the founders of Awakenings believed an art show would give NAMI an activity by which it could fuel its "consumer" constituency. The Awakenings Art Show, they thought, might uncover talented artists who were otherwise dismissed by the art world, and inspire them to take their rightful place in society as artists and creators. This might serve to help raise their ambitions and determination, while educating and inspiring people who viewed the show. Together with NAMI-IL, who shared enthusiasm for the idea, the initial founders set about organizing the show, and contacting friends and colleagues whom they thought might have mental illnesses to get them involved. First to be contacted was Trish Evers, a professional artist and Irene O'Neill, who co-owned an art gallery. With skilled help from the artistic community, including Ben Beyerlein, Anton Witek, William Alexander, Chet Witek, O'Neill, and Evers, the show went on. The Awakenings Art Show debuted at the 1997 annual convention of NAMI-IL in Lisle, Illinois, a western suburb of Chicago. The first show attracted nearly fifty exhibitors. That number increased to seventy by 1998. 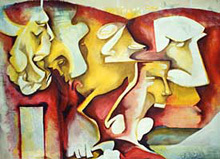 Awakenings has since exhibited at seven NAMI-IL Conferences and several NAMI-National Conventions. In 1998, a Chicago gallery hosting The Awakenings Art Show misprinted the Art Show's name as "The Awakenings Project" in its promotional literature, and the name stuck.